A Mothers Ramblings: Finally Joseph! Dan Jon Jr cracks me up. 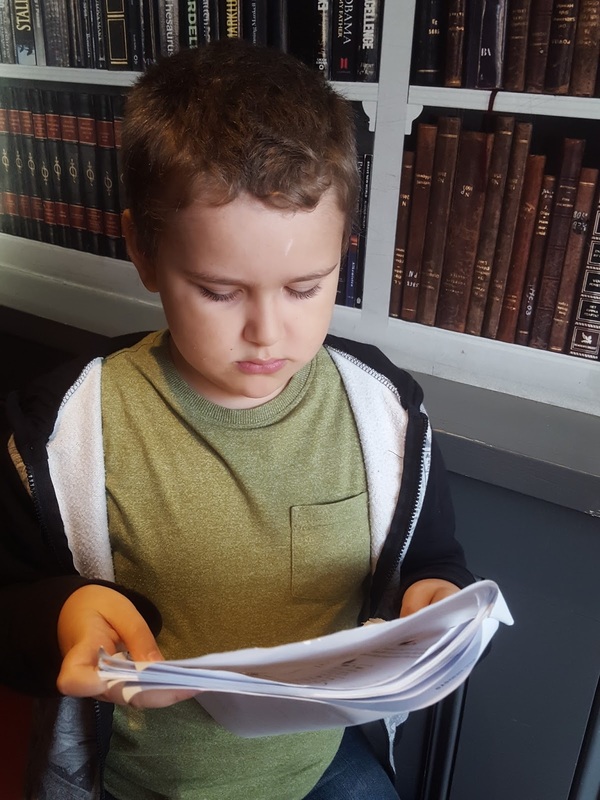 I didn't get bribed as Dan Jon attempted on his School teacher with his part request in Richard III as part of the Shakespeare Schools Festival performance, but Dan Jon did end up with the Joseph part but mainly because he was the oldest male child that was taking part that wanted the role! Dan Jon was so happy. Seriously, he was telling everyone about his role and how he was so excited. And then when we were having our one and only rehearsal (twenty minutes before the performance) Dan Jon realised that his on stage wife, wasn't the maternal type as she kept trying to throw the Baby Jesus in the air! Dan Jon was having none of it and took control of the looking after the baby. 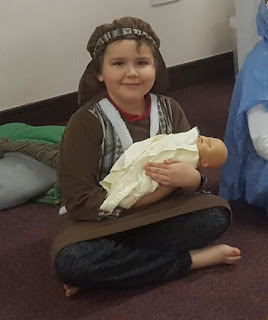 After the Nativity has finished, Dan Jon didn't want to take off his costume and so kept it on for the entire of the Christmas Party, only removing it once we were home and me agreeing that he can wear it one day before Christmas whilst he is off School! Apparently it is really comfy to wear. 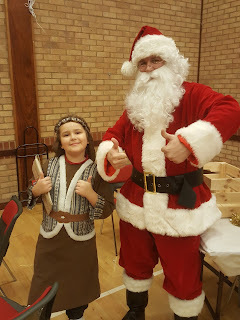 This meant that his photograph with Santa was as Joseph, as were all other photographs I have of him during the evening. 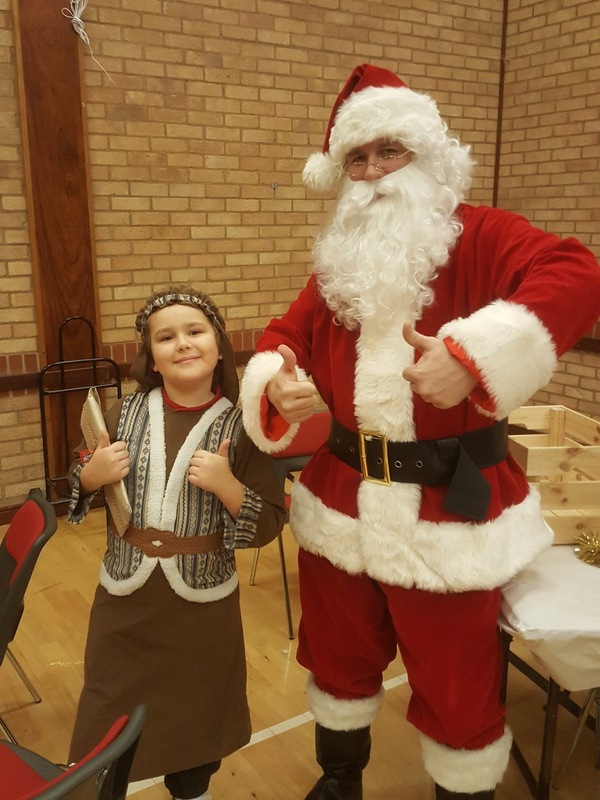 I don't mind though, he was happy and so I was happy and as he said his lifelong dream has come true as he was finally Joseph!